Every week at Simple flying we will bring you the hottest deals and best offers around at the moment, so make sure to check back with us every Saturday to see what the best points and miles promotions are around the world. 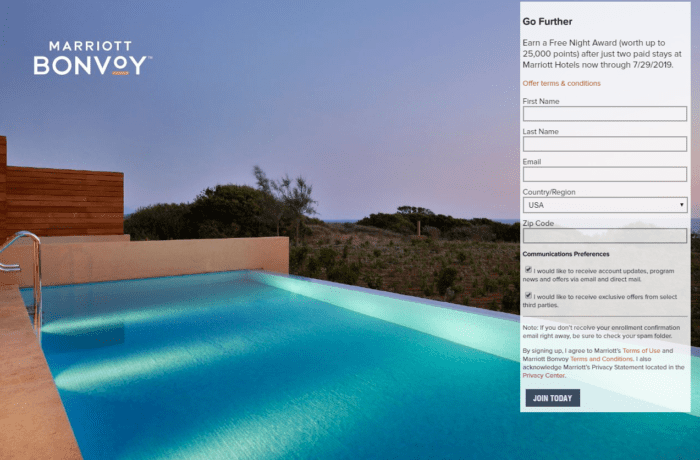 Marriott Bonvoy is keen to sign up new members and is offering new members a free night at any property costing up to 25,000 points per night when they join and complete two paid stays. This miles promotion is valid for paid stays completed by July 29, 2019. You need to join the program through the special promotion page. If you are planning on making some Marriott stays, then this promotion is a great deal. Even if you are already a Marriott member, you can always get your partner or family member who is not to sign up for an account and complete two stays to earn a free night. Bear in mind 25,000 points is enough for an award at any Marriott Category 4 hotel which includes 1,653 properties around the world, so you will have plenty of redemption options. 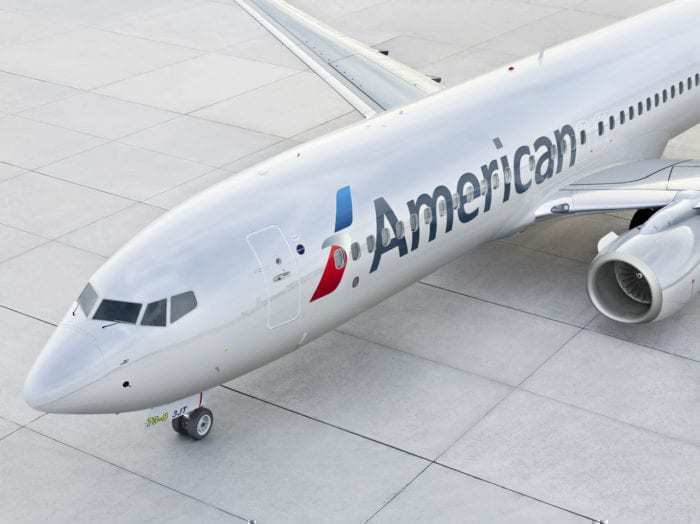 American Airlines has announced a miles promotion giving you up to 100,000 bonus miles when you purchase AA miles. The promotion is valid for purchases through April 30, 2019, and to trigger the bonus, you will need to purchase a minimum of 10,000 miles. One thing to remember is that, unlike a lot of other airline and hotel programs, AA process its miles purchases themselves. This means that any miles purchased will qualify as a travel category since they will code a purchase directly with AA. If you decide to go ahead with the purchase, use a card optimized for travel purchase like the Amex platinum card, or the Chase Sapphire Reserve, which will earn you 5x and 3x points per dollar respectively. United has announced a promotion offering a simple and free 1,000 award miles when you link your qualifying United Chase Visa card to the United MileagePlus X App. To receive the bonus miles, you need to register your card by March 31, 2019. We really like this kind of miles promotion. It takes a few seconds over your morning coffee to register your card, and you are on your way to a free 1,000 award miles without having to spend any money at all. You can earn double base points at over 6,700 Marriott hotel with Marriott Bonvoy’s spring miles promotion. The offer is valid for stays at all Marriott properties worldwide through June 4, 2019. The promotion is valid for stays at participating hotels and resorts worldwide through June 4, 2019. If you hold any of the following Marriott Bonvoy co-branded credit cards, you are eligible for a further 500-point bonus per stay. If you have a few upcoming stays, then this promotion could be quite lucrative, especially if you hold a Marriott co-branded credit card, and you have a lot of one night stays on weekends. World Of Hyatt’s latest Earn Points Faster Promotion is offering you up to 1,500 bonus points per qualifying stay. The promotion is valid for stays at participating World Of Hyatt Properties through May 15, 2019. The promotion has a twist, and you can earn even more points for stays at certain Hyatt brands. If you have some upcoming stays, then you should consider shifting them to World of Hyatt properties with this miles and points promotion, especially if your travel plans allow you to stay at properties that earn you 1,500 points per night. Remember Hyatt award nights start at 5,000 points per night, so if you have some stays, this could be quite lucrative. Citi has announced a 25% bonus when you transfer ThankYou points to the Qantas Frequent Flyer Program. The offer is valid for transfers through April 13th, 2019. While Qantas is not one of the big players, it is a great option particularly if you are looking to travel to Australasia. Even if you are not looking to head down under, this promotion can make sense since Qantas is also a Oneworld member and you can redeem your points on partner airlines including British Airways, American Airlines, and Cathay Pacific. There are some interesting points and miles promotions around this week. Our pick of the bunch is the Marriott free night promotion after two stays for new members. The promotion can be lucrative and is easy to take advantage of, and if you have some stays coming up then why not leverage them for a free night?